I have a dual background as a musician and an academic, and my interest in live music is therefore two-fold. As a musician, I always have made more money from performing live than from selling records (even when counting physical and digital sales combined). It’s not an unusual experience – many professional musicians have traditionally relied on income from live performance and teaching to pay their bills – but it also maps onto an important broader economic shift in the music industries over the last decade: since 2008, British consumers have spent more money on concert tickets than they have on recorded music. Meanwhile, concert ticket prices have risen dramatically over the past decade. The economic value of live music is clear, yet too often the value of culture is reduced to its economic impact. So what about the cultural value of live music? This Cultural Value project explores this question by focusing on a single venue – the Queen’s Hall in Edinburgh. Built in 1823, and in use as a music venue since 1979, the Queen’s Hall is a multi-genre music venue based close to Edinburgh’s Royal Mile. It is host to a wide range of musical events ranging from pop gigs, through jazz shows to full orchestral performances. At each of these shows different forms of cultural value are being promoted, performed and received. Our project examines the different forms of cultural value that are in evidence via a detailed analysis of the promotion, performance and reception of various musical events. A central area of inquiry here concerns the ways in which different forms of musical value are articulated and perceived across musical genres. We have now chosen our case study concerts, which represent a cross-section of the diverse musical activity taking place at the Queen’s Hall. 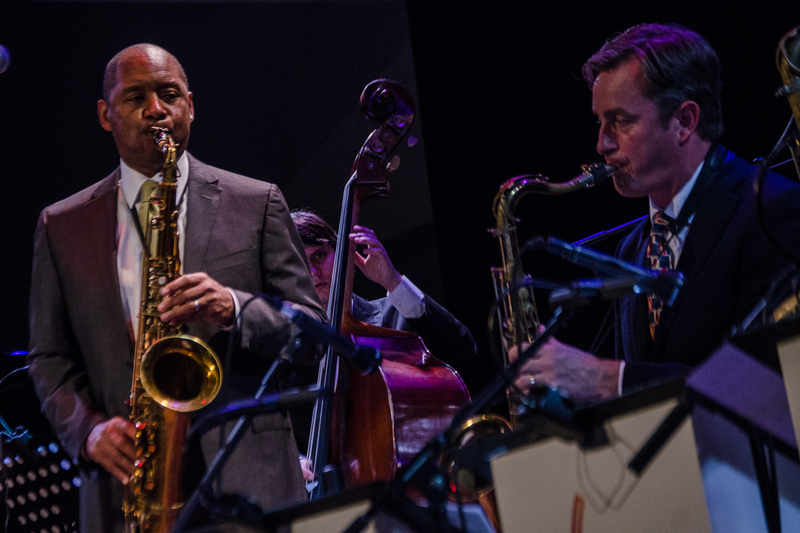 What makes a gig with Scottish National Jazz Orchestra with Branford Marsalis different from the intimate folk music of Heidi Talbot? And how does a Bach concert performed by the Scottish Chamber Orchestra compare to the left-of-centre art rock of cult pop band They Might Be Giants? There are many different kinds of people who are pulled into the orbit of the case study concerts listed above. On the supply side we have the promoters, managers, agents, production crew, and the act. There are also intermediaries, the venue and its staff ranging from management and marketing to ushers, bar staff, security, and catering. And then there is the audience, including friends of the artists, paying punters, and journalists assigned to review the show. How do each of these groups articulate the cultural value of the concert they are attending, and what can we learn by comparing their answers across genres and different models of promotion? As academics, our team want to make sense of how these seemingly disparate musical worlds operate; what, if anything, they may share by performing in the same venue; and finally, and what they might learn from one another.